with the "Tree of Life", that I love Sooo much! I also added accent gems wirewrapped around the candle to make it even more special!!! 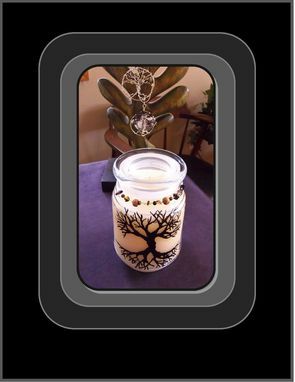 This would make a wonderful gift for Mother, Daughter,Grandmother, Father, Grandfather,Friend, Sister, Brother, and anyone who love Nature, the Tree of Life, and amazing fragrence in their home! 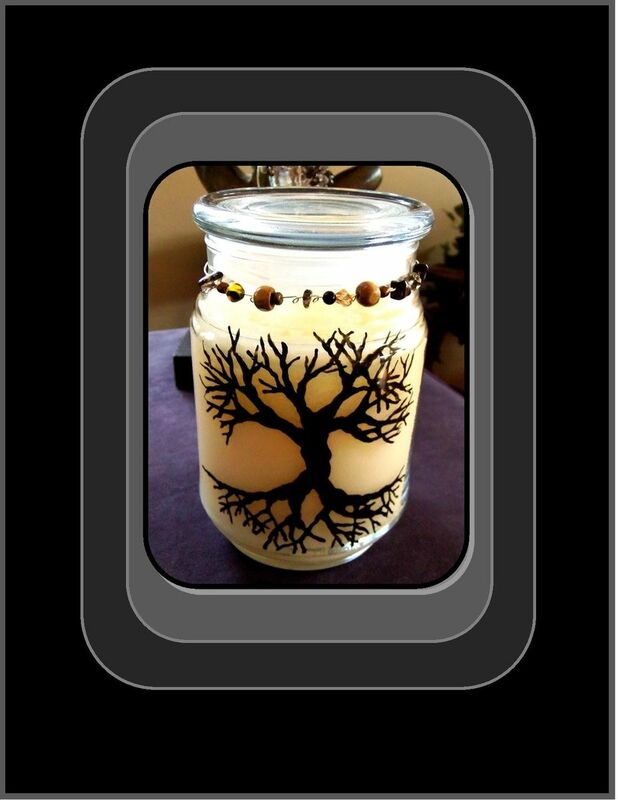 This Jar can be reused after the candle is gone! Clean and fill this Original Art "One of a Kind"
Custom Painted by A Real Artist, with more candles, flowers,sugar,four,candy, anything you can come up with! This Peice of Art makes Beautiful Home Decor and A Great Conversation Piece!!!! 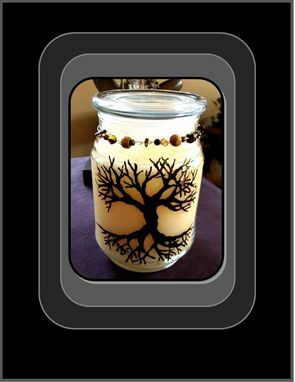 If you would like to order a Beautuful Art candles custom painted with a any other picture or design, please contact me.